Magento Marketplace Seller Badge : Magento Marketplace Seller Badge System allows the admin to add badges for different sellers according to their performance. 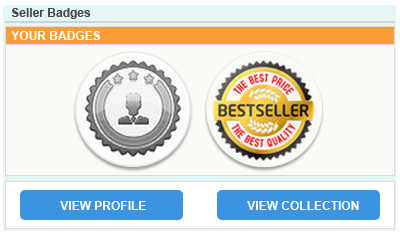 This badge will appear at seller profile page so that buyers can know about the performance of particular seller. Admin can manage the seller badge. 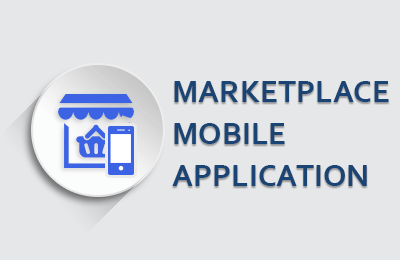 Marketplace Seller Badge For Magento2 is also available now. Magento Marketplace Seller Badge - Magento Marketplace Seller Badge System allows the admin to add badges for different sellers according to their performance. This bagde will appear at seller profile page so that buyers can know about the performance of particular seller. Admin can manage the seller badge. 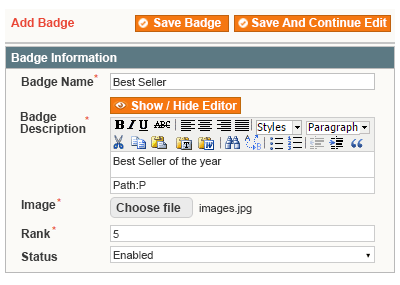 Did you buy Magento Marketplace Seller Badge? 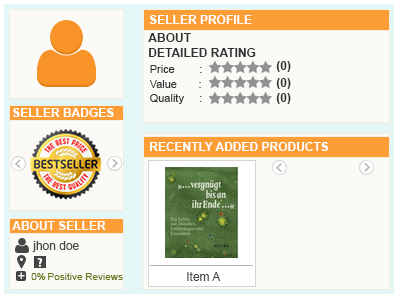 + Allow the admin to add badges for different sellers. + Admin can add multiple badge. + Buyer can see badges at seller’s profile page. + Admin can delete or change the status of badges. + Admin can manage the seller’s badge.